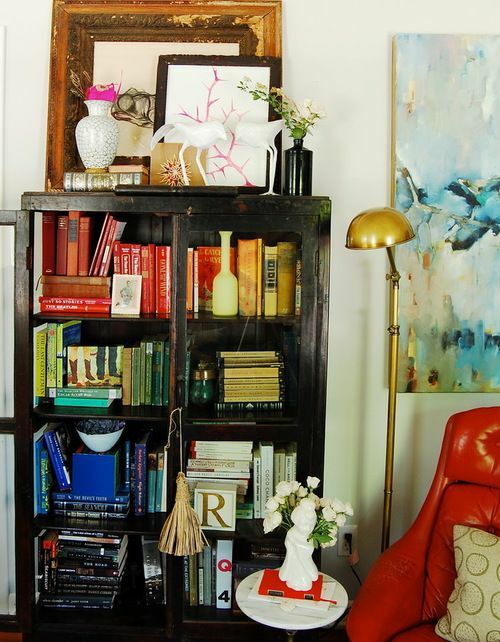 Organizing your books by color is a hot design trend and a stunning addition to any interior space. 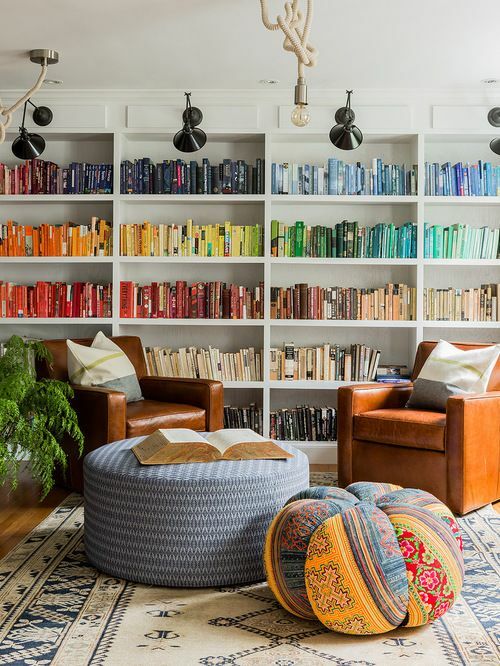 While this may be the preferred aesthetic implemented by interior designers when they organize and style bookcases, there are numerous book-lovers that would warn against making such a decision. 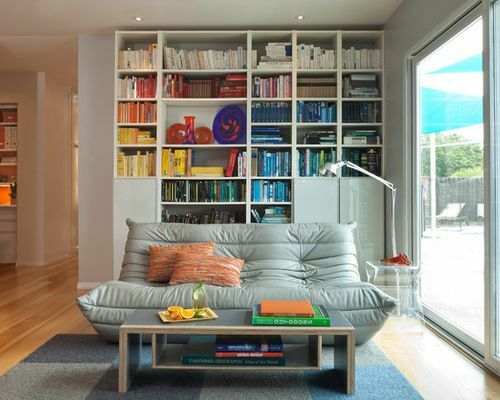 Guest entering your home will be overwhelmed by this visually stunning transformation and marvel at your design talent. Merging book collections with a significant other is painless. The color-coding theory trumps any other organizing theory brought into the relationship. It is beautiful! – Yes – that bears repeating. You will never find your books again, since books are usually organized alphabetically or by genre. Book collections rarely use the same color book jacket, so you will be breaking up those collections. Hush, don’t tell J.K. Rowling. 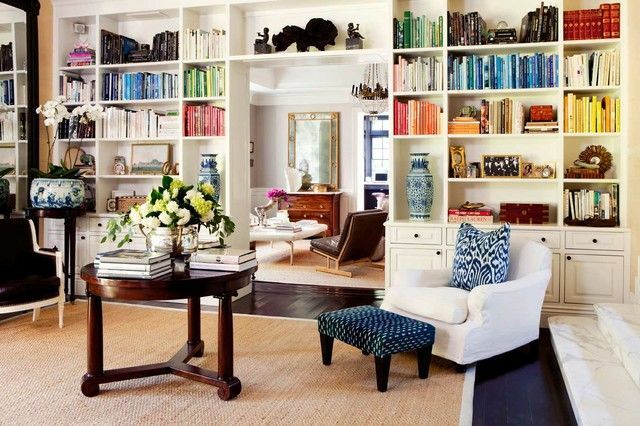 Your bookcase will need constant maintenance; every time you bring home a new book, you will need to reorganize. Again, you will never find your books again; but in today’s digital age, who reads books anymore? Ready for some eye candy? Enjoy!